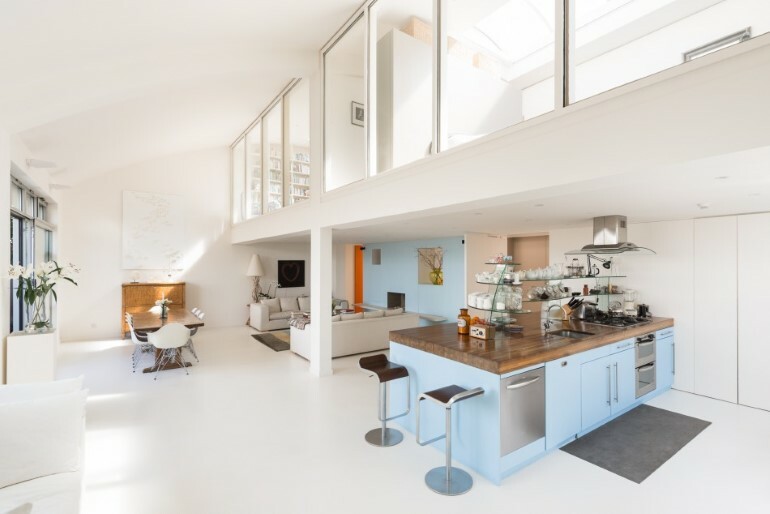 Architects: Frits de Vries Architects + Associates Ltd. 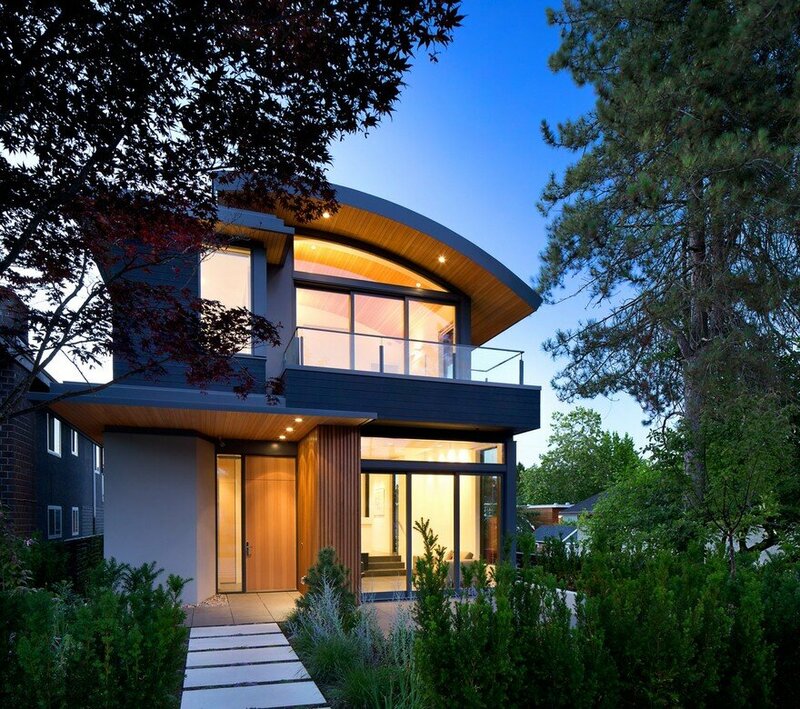 The West 8th house is set on a modestly-sized lot in the heart of Point Grey. 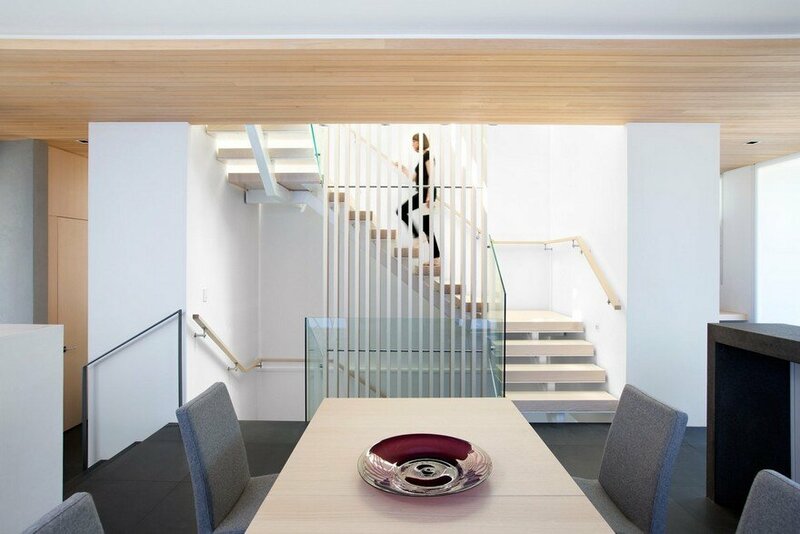 FdVA designed this home as a response to our clients careers in theatre, and their interest in combining Japanese principles of art with Western Architecture. 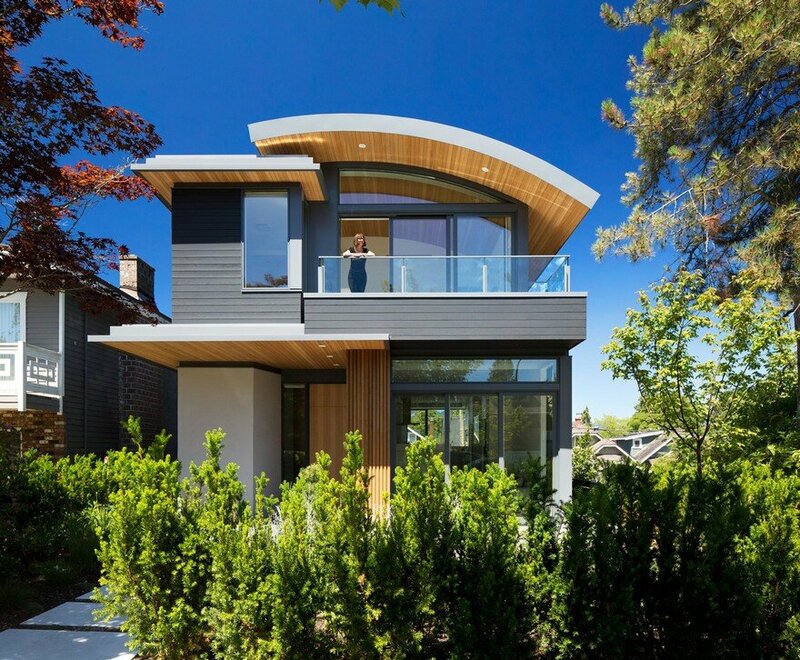 While the local zoning by-law acted as a constraint on the site, FdVA took a playful approach to the design and assembly of form. 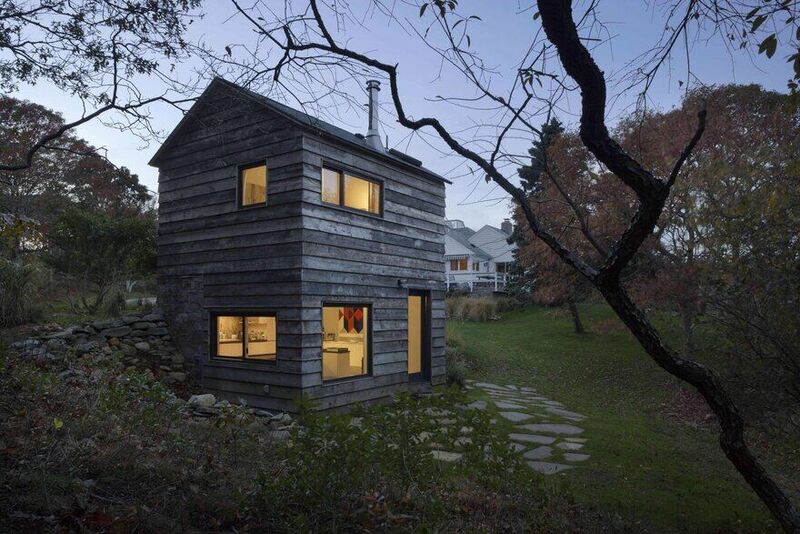 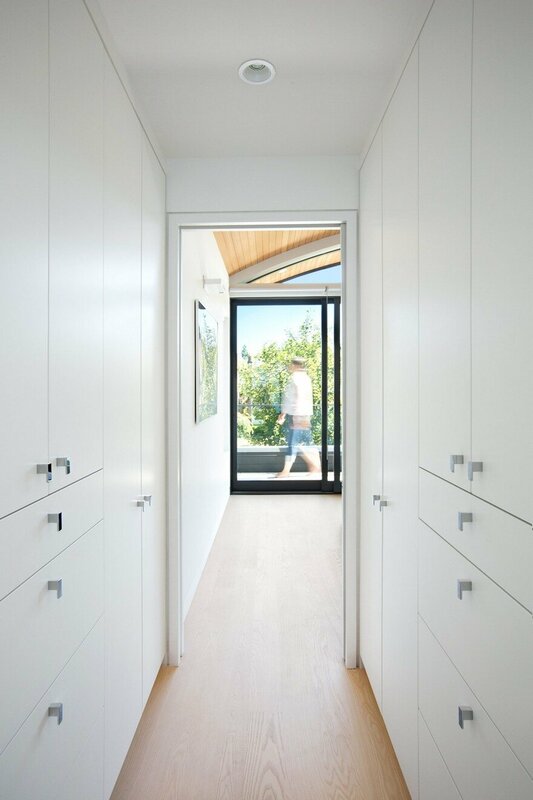 The home’s design maximizes the space within the rigid envelope imposed. 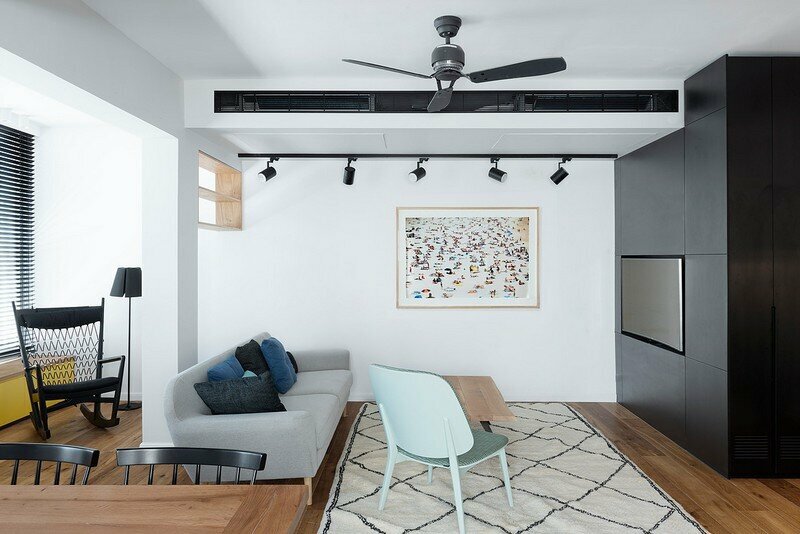 The simple shapes embody one of the principal tenets of Japanese art: balanced asymmetry. 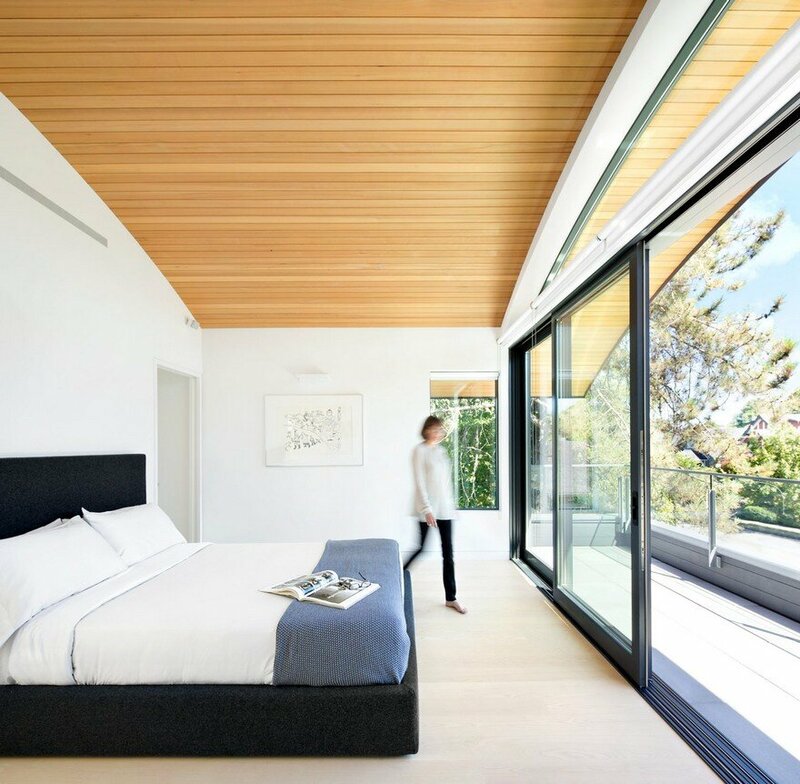 The single curve of the roof enhances the sense of natural harmony on the tree-lined street, while creating a unique, expansive space in the master bedroom. 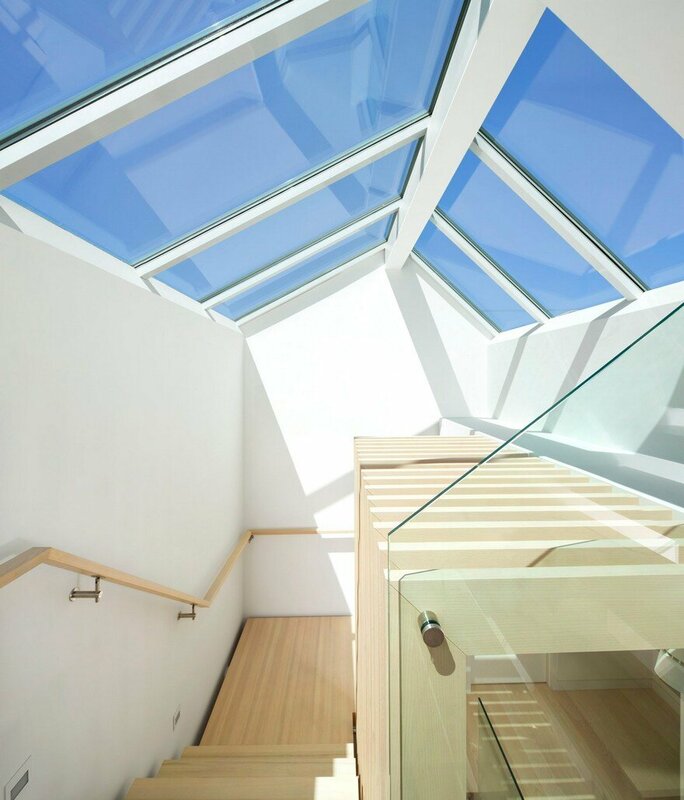 The central stair is at the heart of the home, connecting all three levels, and is entirely covered by a large skylight, flooding the centre of the house with natural light. 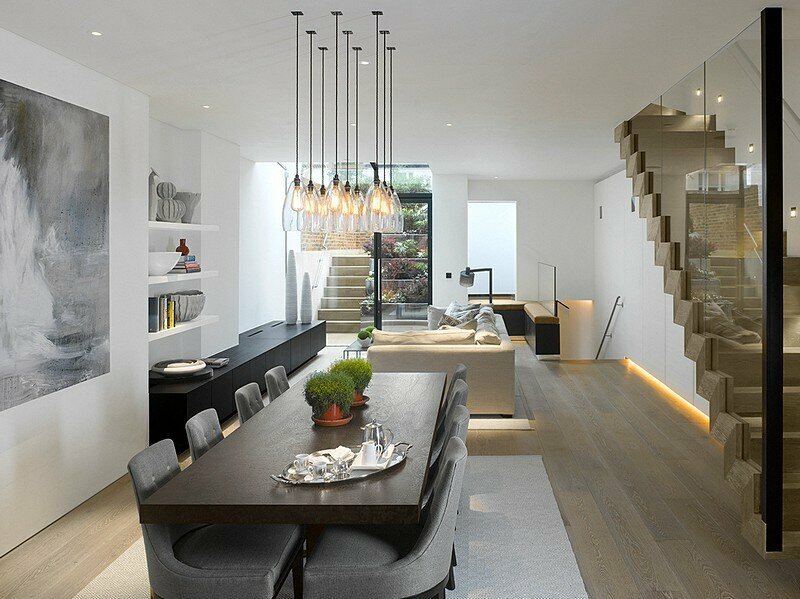 A screen of rhythmic vertical wood elements in front of the stair creates theatrical shadows in the main spaces. 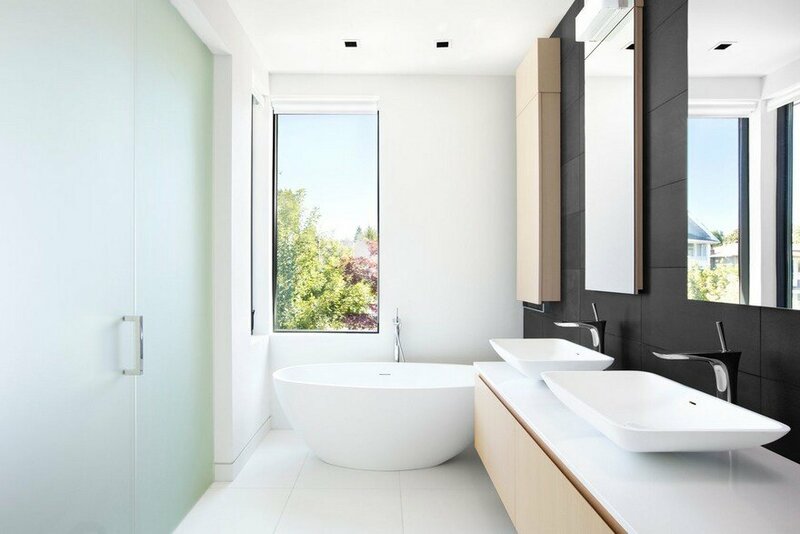 Materials, inside and out, were selected to be earthy, natural and tactile. 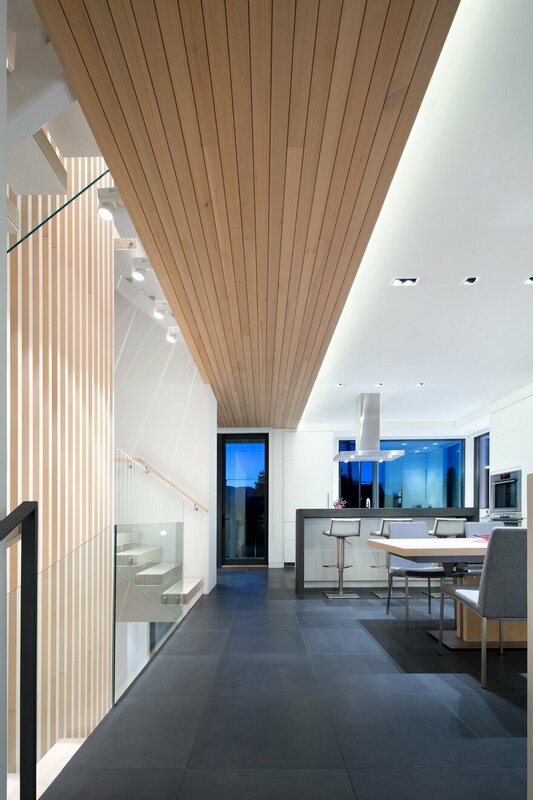 They include cedar, basalt, concrete, and architectural metal. 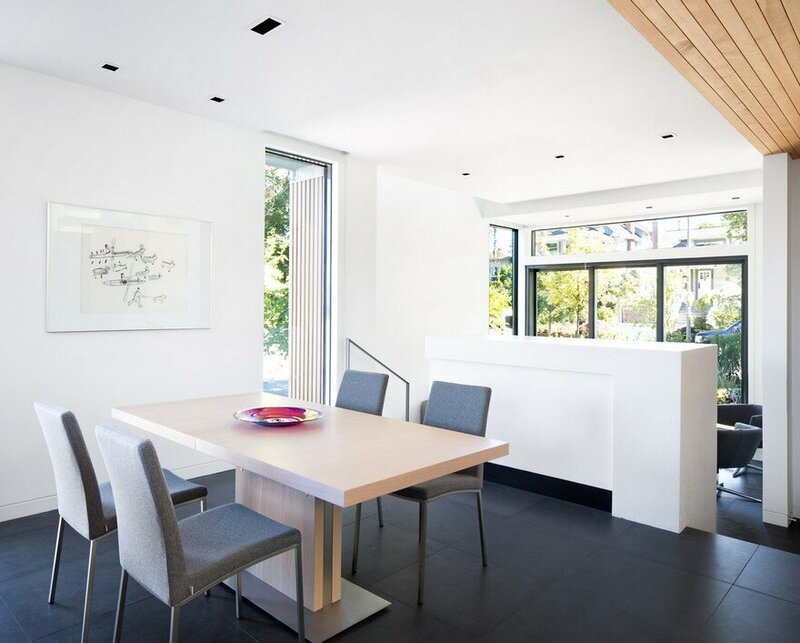 To keep energy usage low, insulation, natural lighting, and ventilation were maximized through the house. 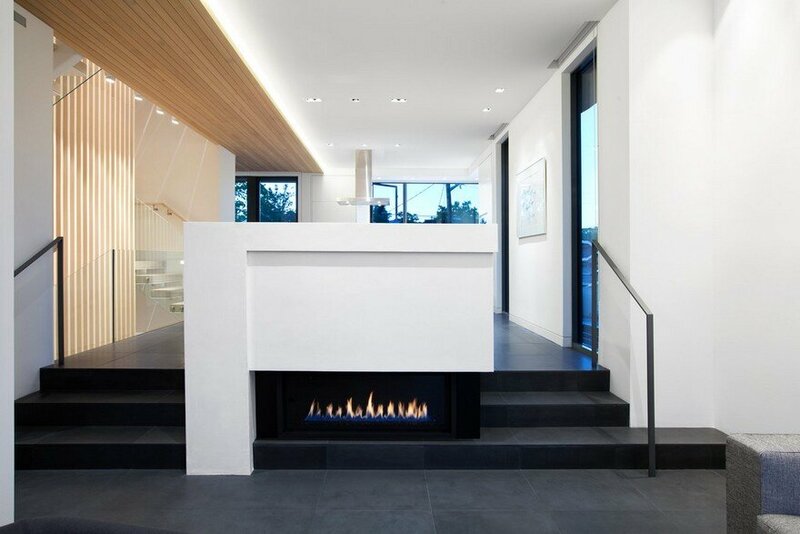 The central stair core acts as a ventilation chimney stack to naturally cool and ventilate the home. 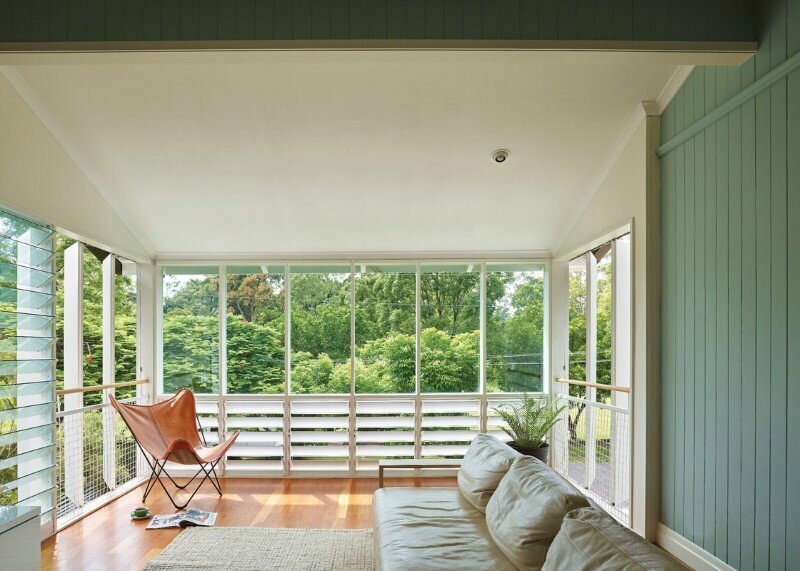 Windows are large, with low-e coatings and overhang to limit solar gain.